Sermons are often interpreted in South Africa. 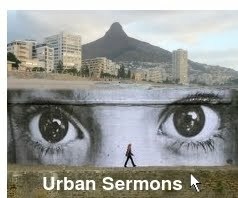 This sermon (click ⊳ to Play) is being translated from Xhosa to Afrikaans. But what to do when the preacher gets carried away? This interpreter (on the right) was unflappable. I took the 20 second video yesterday in Sea Point Methodist Church in Cape Town.